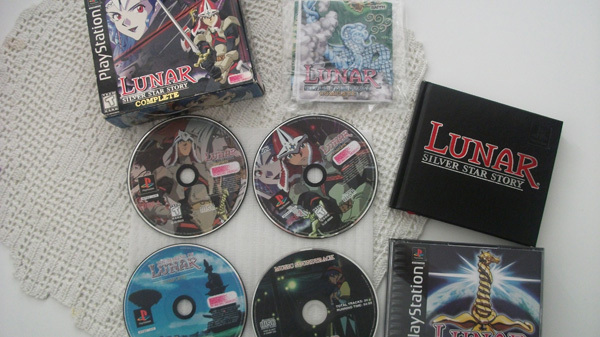 Lunar Silver Star Story Complete was the JRPG that made me fall in love with JRPG, until I played that one I was actually a bit hateful to the whole genre. Hehe, sweet irony that its just about the only genre that gives me incredible satisfaction. I first played this game around 1999/2000 and was hooked immediately, it grabbed my heart early on and has yet to let go. And it was thanks to a friend I had at that time, who let me borrow the game. Or rather he forced it on me and I was not very excited about playing it. But that quickly changed. And now years and years later, I finally have the game myself. I can hardly believe it, its my early birthday present to myself. The best one I’ve ever given myself and one that will be cherished for a long, long time. I am so very happy.